Schuylkill River Greenways is looking for an AmeriCorps VISTA member to serve for the 2019-2020 year. The position will involve working with the Great Appalachian Valley Conservation Corps to sustain a corps program in PA, developing a community garden grant fund, providing logistical support to an environmental mentoring program & scheduling volunteer events to maintain a Pollinator Garden. Program Locations: The VISTA will be serving mainly in Pottstown and Pottsville, Pennsylvania with occasional work in Philadelphia. The VISTA will NOT be serving in Wilmington or Atlantic City as listed in the geographic region on the my.americoprs.gov application. More Details: The Schuylkill River Greenway Association, the managing entity of the Schuylkill River Greenways (SRG) National Heritage Area, provides a vision for a vibrant region connecting residents, visitors and communities to the Schuylkill River and the Schuylkill River Trail by serving as a catalyst for civic engagement and economic development to foster stewardship of the watershed and its heritage. SRGA’s regional focus is in five counties of the Schuylkill River Heritage Area including Montgomery, Chester, Berks, Philadelphia, and Schuylkill. The VISTA will primarily be serving needs concerning youth unemployment, youth poverty, and health in Schuylkill County, PA. To address these issues, the VISTA will develop a Conservation Corps, a youth employment program designed to expand the Schuylkill River Trail. The VISTA will also develop funding and support for community gardening projects in communities where fresh food access is limited. The VISTA will provide support to schools participating in Project SOLO (Schuylkill Outdoor Leadership Odyssey), an environmental education and mentorship initiative led by SRG’s past VISTAs. Finally, the VISTA will hold volunteer events to maintain a Pollinator Garden. 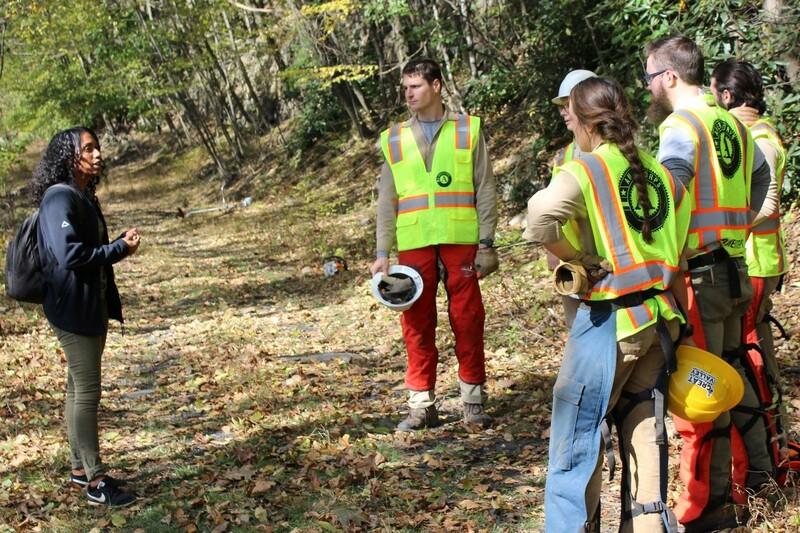 Member Duties: The VISTA will refine project goals and objectives, cost projections and assist the Great Appalachian Valley Conservation Corps (GAVCC) in sustaining a corps program in Pennsylvania. In tandem with leading the GAVCC to complete trail segments, the VISTA will also assist with recruiting Adopt-a-Trail and Sponsor-a-Trail partners for newly completed Schuylkill River Trail segments. The VISTA will work with a local community foundation to create a community gardening grant program while assisting a community non-profit with outreach strategies that will raise residents’ awareness and interest in community garden and nutrition projects. The VISTA will additionally provide technical assistance to schools and other VISTA members involved in Project SOLO, including venue recruitment, scheduling mentors and field trip programming, and coaching speakers. Program Benefits: Training , Education award upon successful completion of service , Living Allowance , Stipend , Choice of Education Award or End of Service Stipend , Relocation Allowance , Health Coverage* , Childcare assistance if eligible . Terms: Permits working at another job during off hours , Car recommended , Permits attendance at school during off hours . Service Areas: Community and Economic Development . Skills: Leadership , Teaching/Tutoring , Fund raising/Grant Writing , Public Speaking , Team Work , Youth Development , Community Organization , Recruitment , Writing/Editing .